Welcome to my second DIY series! 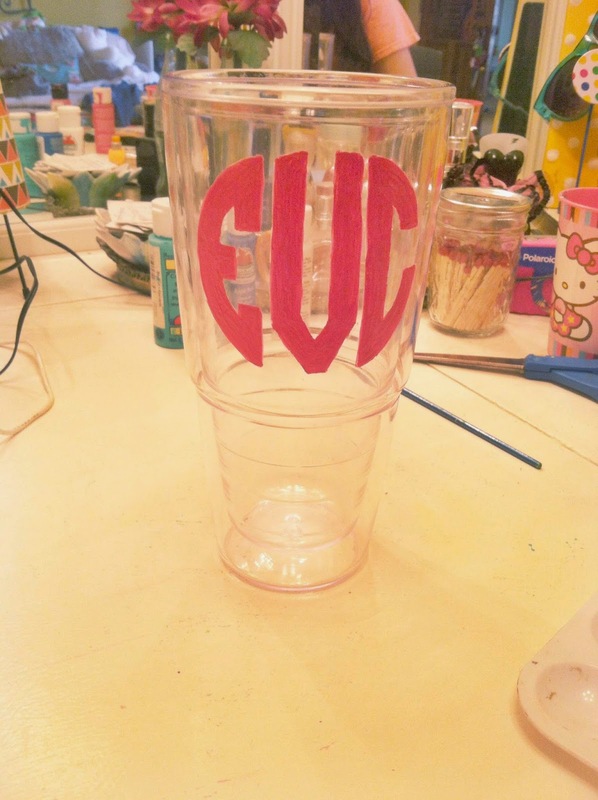 I've been seeing those adorable monogramed tumblers everywhere, and I decided to make my own! I found the tumblers (that I have been eying for a while) at Walmart on Sale for $3! So I got one for me and some others for the ladies in my for Easter. I like to paint, so I already had the colors I needed. And I found the Tervis® Lids at Bed Bath and Beyond for 4 for $12. So I ended up spending $24 for 4 tumblers, and about $6 per cup. 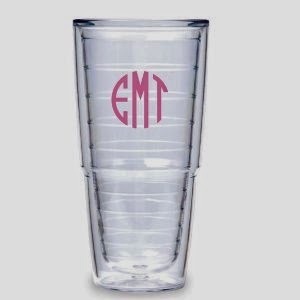 And compared to a retail bought one which averages at about $25 not including the monogram, I think $6 per cup is pretty awesome! So I will share so you can make your own! 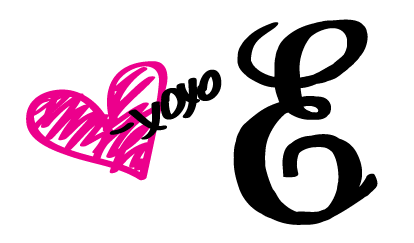 For the monogram, I downloaded a circle monogram (or you can do a traditional monogram) from Printable Monograms, typed in my initials, and then redrew it onto a small paper in the size that I wanted. For the size of the circle, I took a small mason jar lid and traced the outside so that it would be perfect. Then I divided the circle into three sections with a ruler so that they would be even letters. After the white coat, I then mixed up my pink color and painted over the white. I did about 3 or 4 coats to make sure it was as pink as possible. It's great painting with acrylics on plastic because it can scratch off if you mess up or need to clean up some edges. When the paint was dry, I needed to put on a hard coat of something so the paint wouldn't scratch off. So I ended up putting a coat of clear top coat nail polish, and it worked GREAT!! However, be very careful when you put this coat on because it will NOT come off the plastic. If you do get it on the clear part, do NOT try to get it off with nail polish remover. I tried this, and it ate the plastic up and made it cloudy. So your best option is to just leave it on there if you mess up. So here is the finished product! 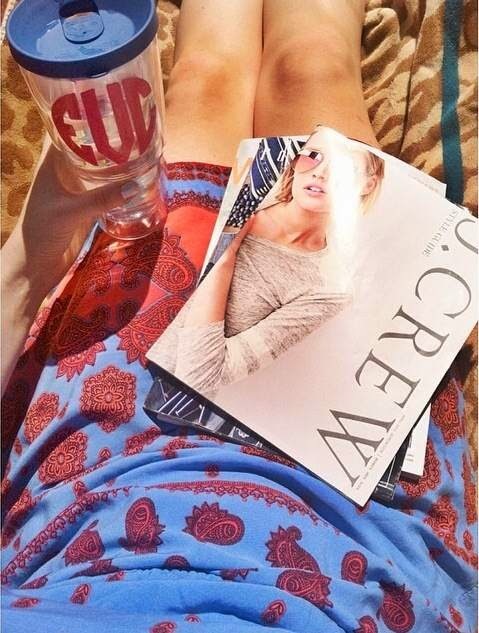 I paired my pink monogram with a pretty navy Tervis® lid. I LOVED the way it turned out, so I made some for my the ladies in my family too! Since it was Easter, I did some bright pretty spring colors. 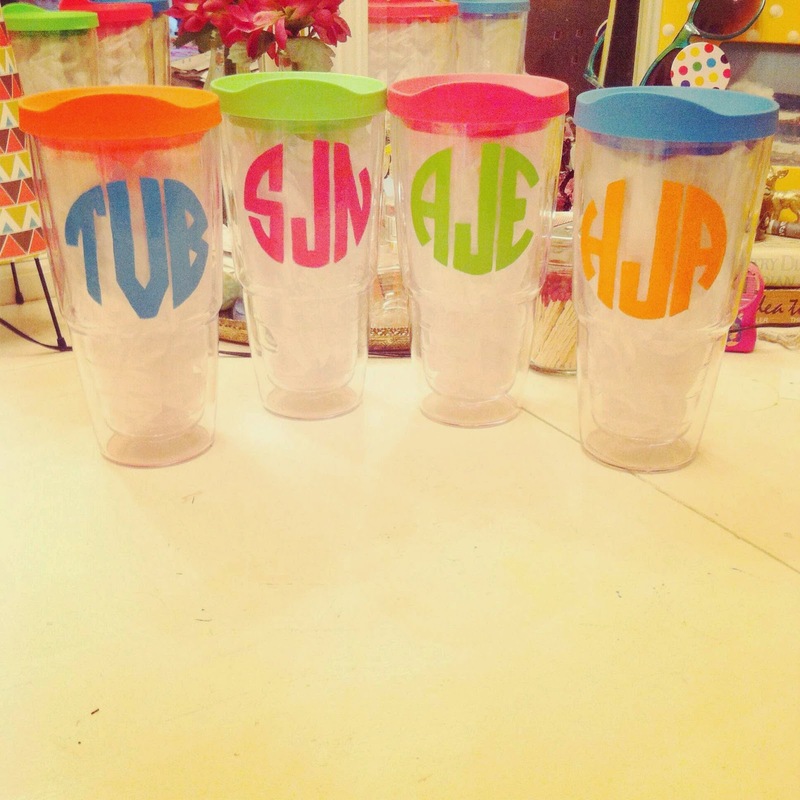 In the end I wish I had more tumblers that I could do! So there you have it! Hope the DIY-ing goes well! Tel me how it goes and share your creations! However, if you don't feel like DIY-ing your own, you can get some online at Swoozies.com: Traditional Tumbler, Goblet Tumbler, Lids. And shop around for some other goodies on their amazing site! Have fun! !